With the Iridescent Ballerina Jewelry Box the ballerina twirls when opened and the box shimmers in the light. Plays "Swan Lake" and comes packaged in clear PVC box. 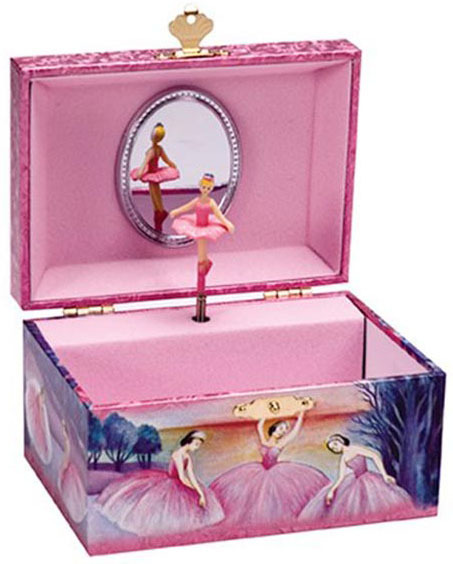 The Schylling Toys Iridescent Ballerina Jewelry Box is recommended for ages 8 and up.